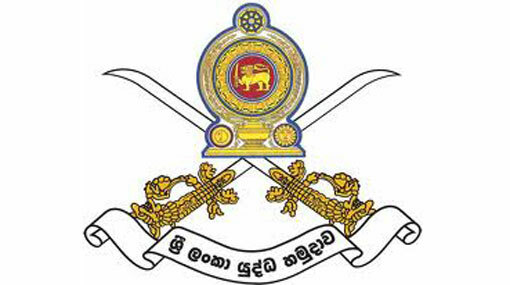 Sri Lanka Army Headquarters today announced that attention has been drawn towards the pension demand of protesting disabled ex-soldiers, who have voluntarily left the army before completing 12 years of service. Issuing a statement, army HQ said that the relevant administration work is being carried out and that their demands will be met by February 2017. The Sri Lanka Army (SLA) said that these disabled veterans are currently receiving their monthly wages, allowances and an additional disability pay. Previously the disability pay was given until the age of 55, however this was changed to lifetime on the approval of President Maithripala Sirisena, according to the Director/Spokesman Ministry of Defence Media Centre, Brigadier AWMPR Seneviratne. Police and Tri-Forces personnel have been engaged in a protest in Colombo Fort since yesterday demanding that they receive a pension. UPDATE: President Maithripala Sirisena has instructed the relevant officials to take steps to provide pension benefits to the differently abled War Heroes who volunteered to retire prematurely due to medical reasons. As at present, differently abled War Heroes who have completed 12 years in service and the differently abled War Heroes who volunteered to retire before their due retirement day on medical grounds are paid a monthly salary and disability pension until the age of 55 years. Differently abled War Heroes who volunteered to retire before their due retirement day were not entitled to pension benefits after completion of 12 years service and no government in power drew their attention to this issue. President Maithripala Sirisena, after considering the number of requests made by differently abled War Heroes submitted a Cabinet Paper to ensure that these War Heroes receive pension benefits. “These War Heroes will also be entitled to pension benefits as their contemporaries who have completed their service from February next year after the special Cabinet Paper is approved by the Cabinet. A group of differently abled War Heroes who have not completed 12 years of service held a protest opposite the Presidential Secretariat demanding pension benefits.